Lindt & Sprüngli has had a successful start to the financial year 2018. The Group achieved strong group sales of +7.7% in the first half-year, generating consolidated sales of CHF 1.67 billion. Organic growth increased to +5.1%. The Group is therefore on track to achieve its strategic target of organic sales growth of around +5% for the full financial year. Market share gains were particularly impressive in the large markets in Europe, considering the highly saturated chocolate markets and an exceptionally challenging trading environment. A vibrant seasonal business, the launch of product innovations and the good performance of own chocolate boutiques and cafés are building the base for this success. As part of the ongoing growth drive in Europe, major investment projects were instigated in the first half of 2018 in order to expand capacities at the production facilities in Switzerland and Germany. In 2018, Lindt & Sprüngli is investing over CHF 30 million in modernizing and expanding the Lindt Cocoa Center in Olten, Switzerland, where cocoa mass for the European production companies is produced. This investment is an important step towards strengthening Switzerland’s long-term position as a key business location. At the same time, construction work has started at the Aachen plant in Germany, where Lindt & Sprüngli is investing more than CHF 25 million in upgrading the logistics warehouse and linking the logistics and production facilities via a fully automated conveyor system. 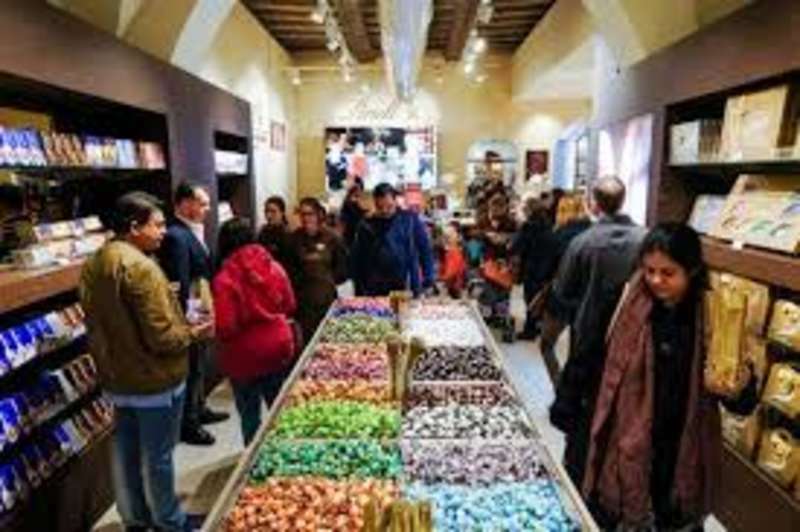 The Global Retail business with own chocolate boutiques and cafés, again achieved impressive growth. Many new openings at locations enjoying a high footfall, like at Europa-Park (Germany), in Siena (Italy), and in Okayama (Japan) were celebrated. A total of 40 to 50 new store openings worldwide are planned. The Lindt & Sprüngli Group anticipates continuing organic growth of around +5% for the full financial year. In the second half of the year, growth is expected to stay roughly the same as in the first half. Also operating profit (EBIT) margin is expected to improve by 20-40 basis points in the full year, in line with the mid- to long-term target range.